Meet the Directors – Little Hearts Family Group Inc. Crystal is a married mom of two, and she works full-time at the University of Saskatchewan. In 2015, her son was born with a complex congenital heart defect commonly referred to as half-a-heart. By the time he was six months old, he had undergone five surgeries and had spent 100 nights in the hospital. This journey hasn’t been easy but thanks to the support of our friends and family, our dedicated medical team and other heart families we have not only survived the unthinkable we have remained hopeful and resilient. We have watched our son thrive, and we have developed a new appreciation for life and what is possible. She became a board member to help raise awareness of pediatric heart conditions, to give back to the pediatric cardiology team that has taken such good care of her family, to support families as they learn to navigate the health system and to work to improve the long-term outcomes for children with acquired or congenital heart conditions. Sarah is a teacher, a wife and a mother to one beautiful little girl, Laura. Laura was diagnosed with TGA (Transposition of the Great Arteries) post-nataly and was quickly airlifted to Edmonton for Surgery. Laura endured a very complicated course resulting in numerous cardiac arrests and the need for a Heart Transplant. After 5.5 months at the Stollery Children’s Hospital, Sarah and her husband finally brought Laura home and learned what it truly means to parent a medically complex child. Sarah looks forward to working closely with the Little Hearts Family Group to help provide support for parents who are facing the numerous challenges that come along with having children with Heart Defects. Jamie has worked in the Information Technology sector for over 20 years. She currently works as a Senior Account Executive – Business Development and Marketing for ISM Canada in Regina. She has two beautiful boys, Caine and Brody. Brody was born on April 7, 2011, with a complex congenital heart defect (DORV, VSD and Pulmonary Stenosis). He has endured two surgeries; the Glenn and the Fontan which were performed by Dr. Ghandi at the BC Children’s Hospital. It has been a trying yet informative journey that will continue onward with yearly check-ups, heart catheterization and general “motherly” worrying. Jamie is excited and honored to be on the Board of Directors to provide additional support in the Regina and surrounding area. She also looks forward to working more closely with the Pediatric Cardiology team in raising awareness of CHD across Saskatchewan. Rachael is a Medical Laboratory Technologist (MLT) and is an instructor for the MLT program at Saskatchewan Polytechnic. She is married and has two little girls; Olivia and Gemma. Gemma was diagnosed with Double Inlet Left Ventricle and Corrected Transposition of the Great Arteries in utero. She has had four open heart surgeries and is presently a very healthy and active child. The family’s life changed drastically when Gemma was born in order to keep her healthy. Now that Gemma is finished with her surgeries and is doing well they have been able to resume their regular work schedules and redirect some of their energy into other causes. Rachael wants to help others who have been through similar experiences. Becoming a board member for the Little Hearts Family Group is a way to accomplish this goal. She hopes to be able to share her experience with new and not so new heart families and to gain a network of people who understand what being a heart parent really means. Rachael and Gemma are currently ambassadors for the Jim Pattison Children’s Hospital. Lynne is a Registered Nurse who has spent most of her career caring for adults with cardiac issues. She became interested in Paediatric Congenital Heart Disease after her son was diagnosed as an infant with bilateral pulmonary artery stenosis, supra and sub valvular aortic stenosis, and an atrial septal defect. After her son’s second heart surgery, she realized that there was a need for Pediatric Cardiac Rehabilitation in Saskatchewan. Lynne established the CHAMPS camp (Children’s Healthy heArt caMP of Saskatchewan) with Pediatric Cardiology and the College of Kinesiology at the University of Saskatchewan. The camp provides heart children with healthy lifestyle information and connects them with other children with similar conditions. She was also instrumental in the creation of the CHAMPS camp promotional video and the Mending Little Hearts Fund at the Jim Pattison Children’s Hospital Foundation. 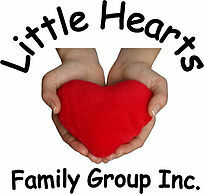 Lynne is one of the founding members of the Little Hearts Family Group and has been a board member since it’s inception. She hopes to continue to raise awareness of the prevalence of acquired and congenital heart disease in children and support their education, well-being, and transition to adult cardiac care. Anna works for Trusted Saskatoon as a Marketing Consultant. She volunteered and worked for the Heart and Stroke Foundation. She has two beautiful children Carly and William. William was born with a heart condition, and on February 10th, 2016 William had a toonie size hole repaired and two pulmonary veins re-routed. Being a part of this group means a lot to Anna as she wants to be able to support other families and is dedicated to helping grow the Mending Little Hearts Fund of Saskatchewan. Anna says, “When I knew about William’s surgery, I reached out to the Little Hearts Group, and they provide support to me that no one else could. To sit on the board and be able to support other families is a great honor”.